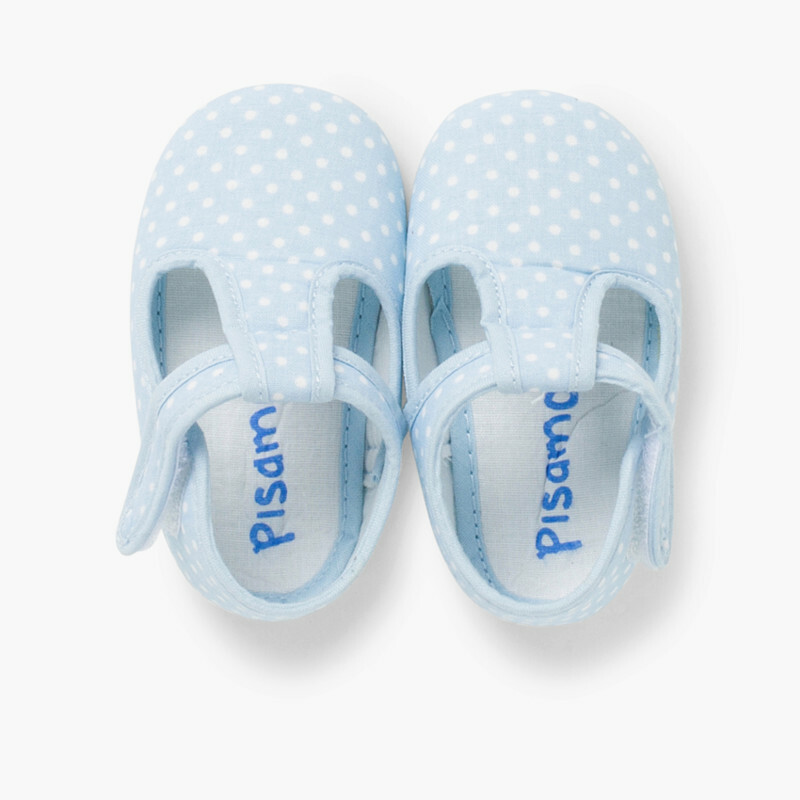 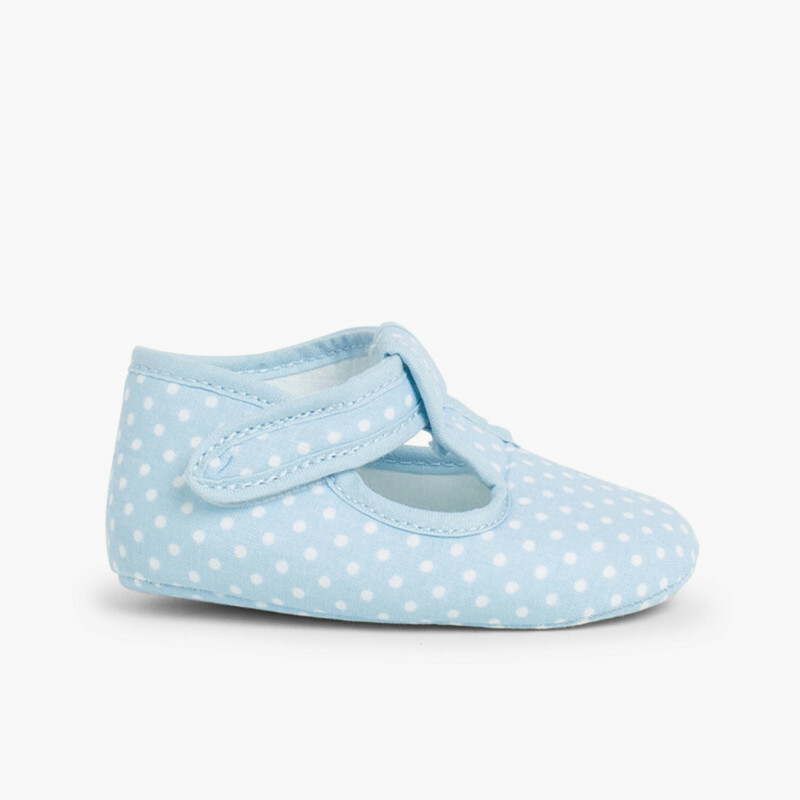 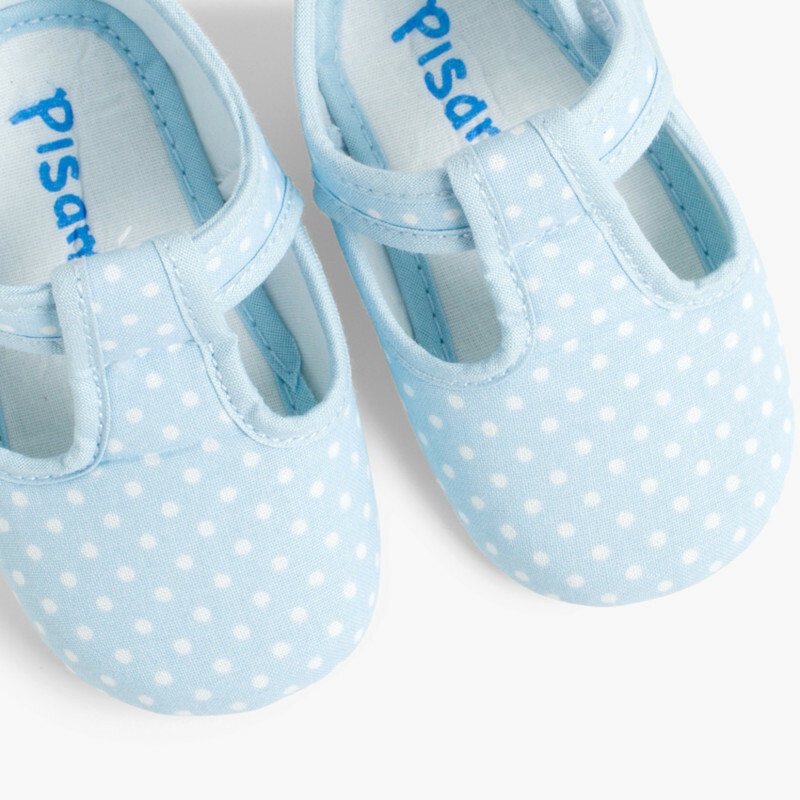 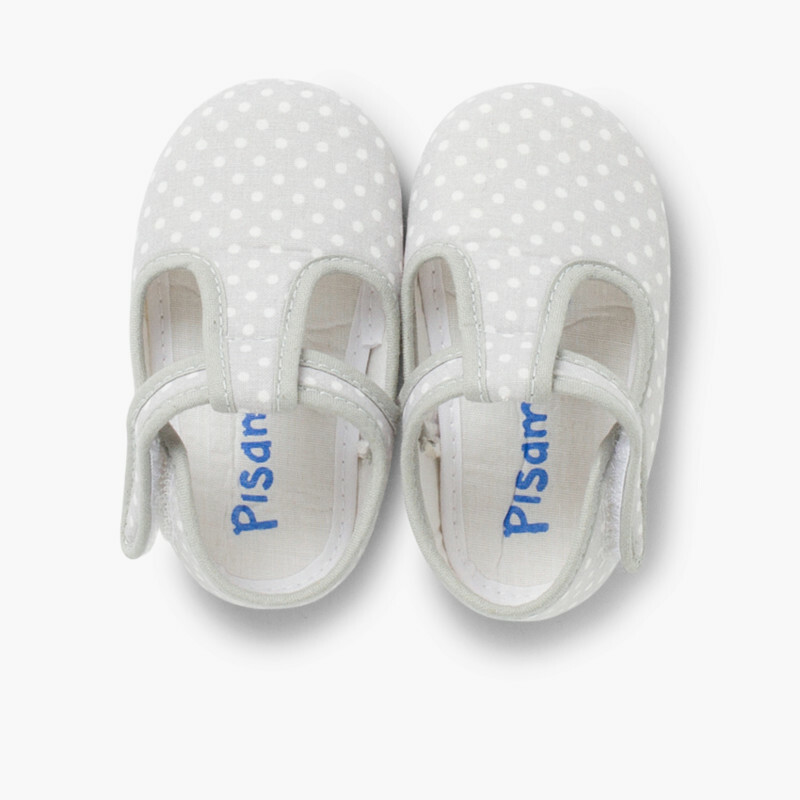 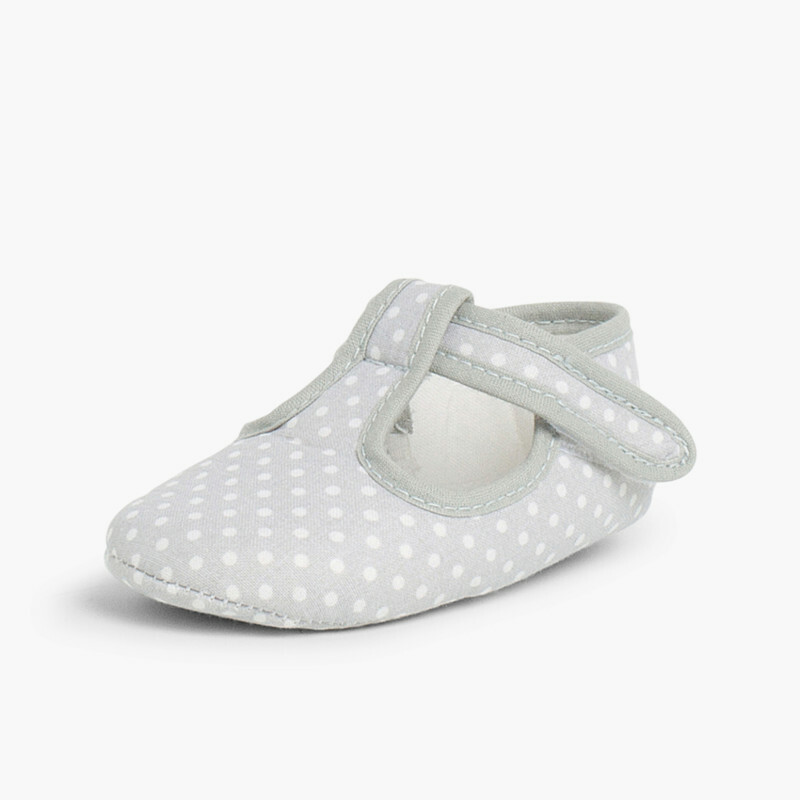 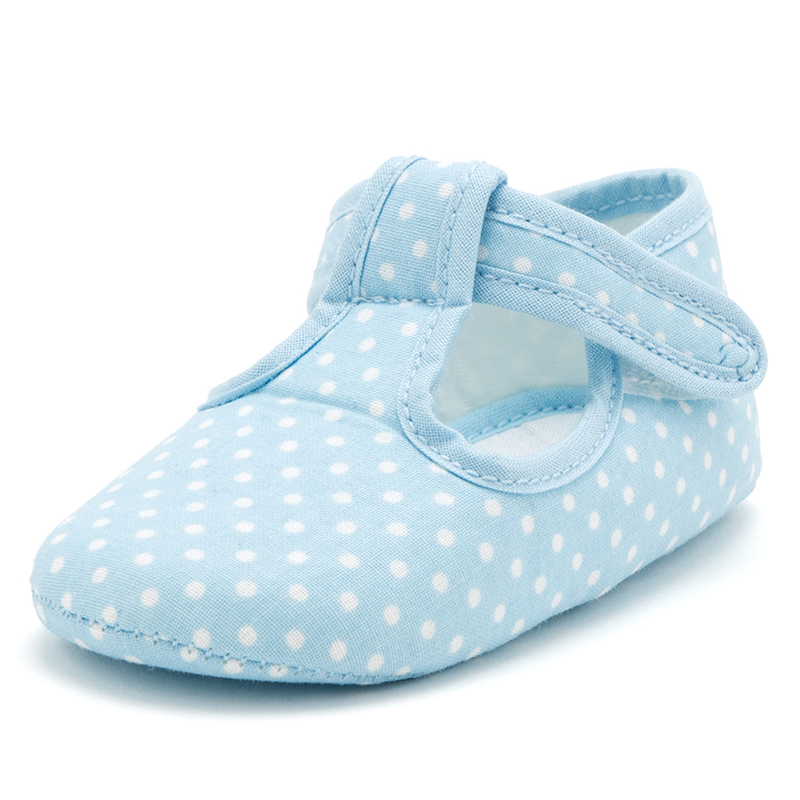 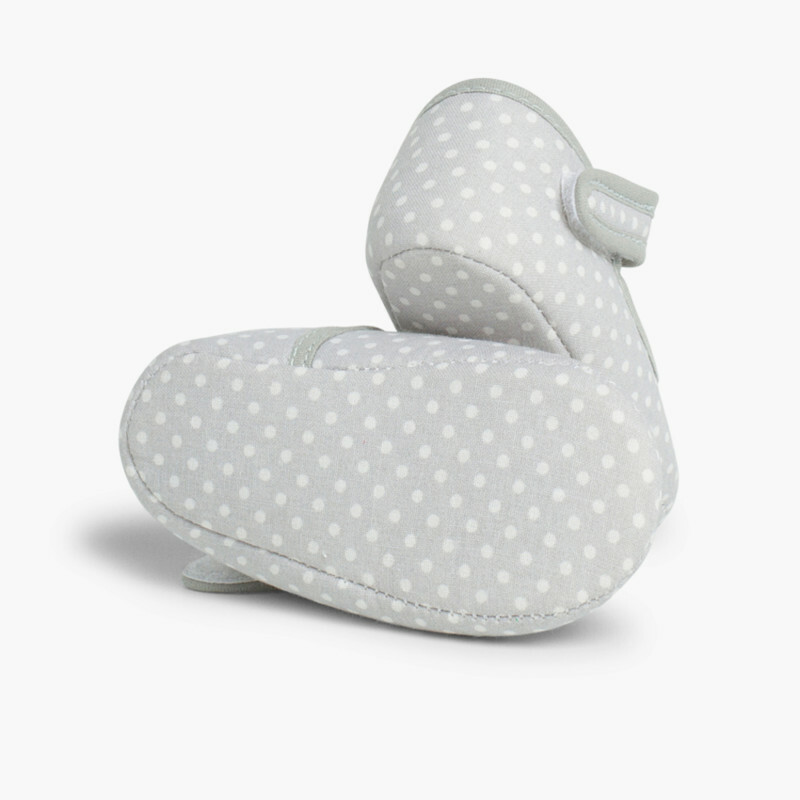 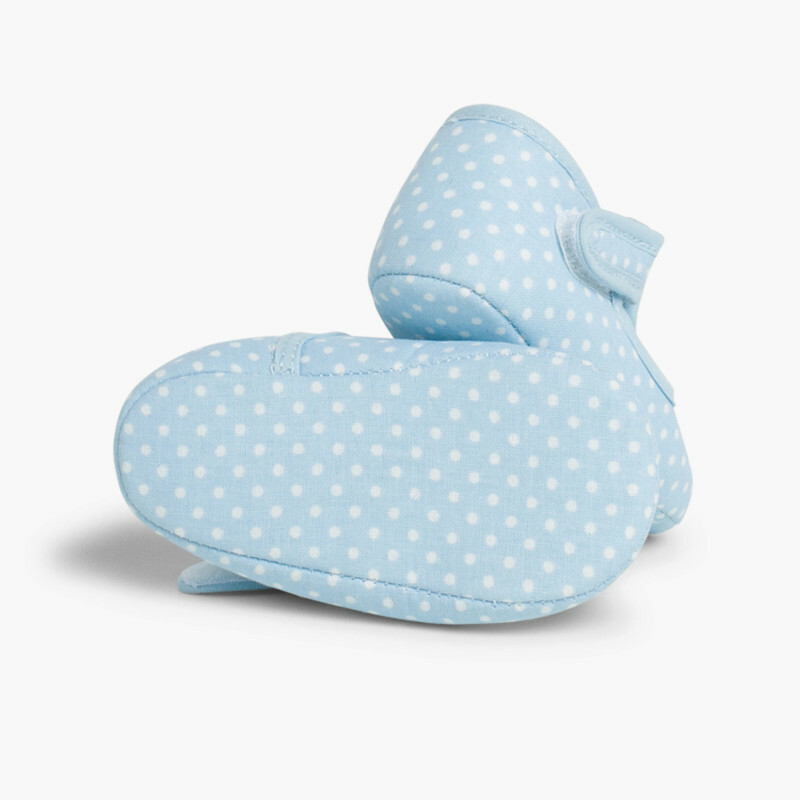 Beatifully designed baby boy's T-bar shoes with polka dot print and riptape fastening for better foot support. 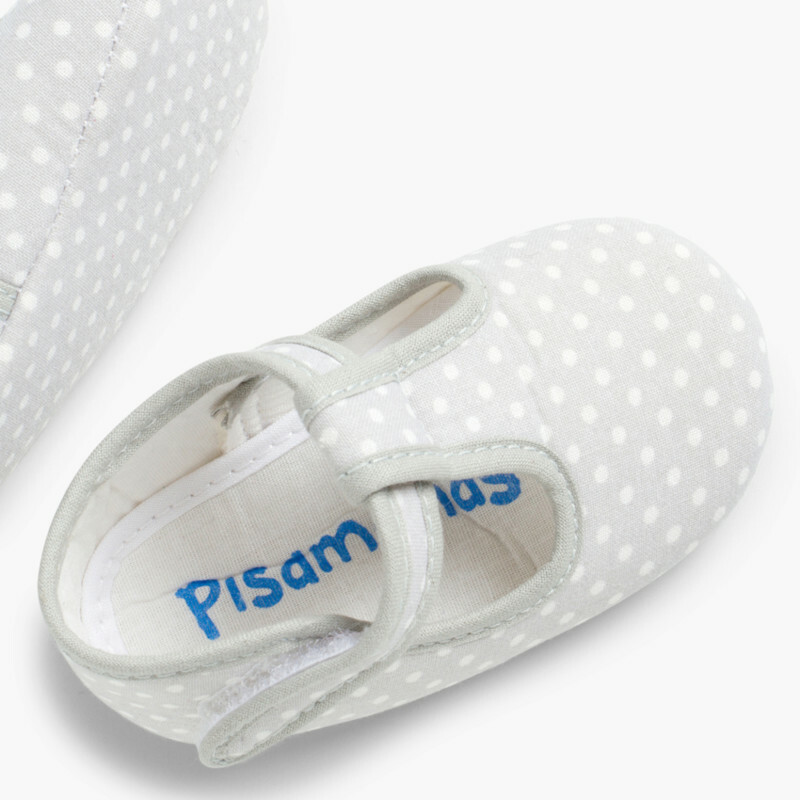 100% Made in Spain with the finest materials and have a breathable cotton lining inside. 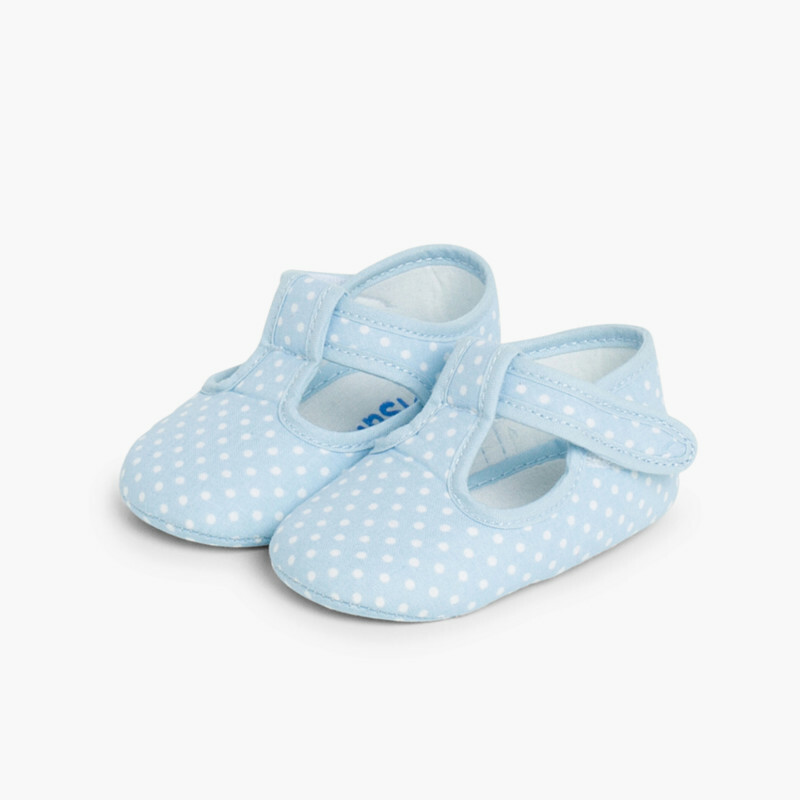 This kids shoes are also padded and have no hard parts or seams inside which could damage the baby's fragile skin. 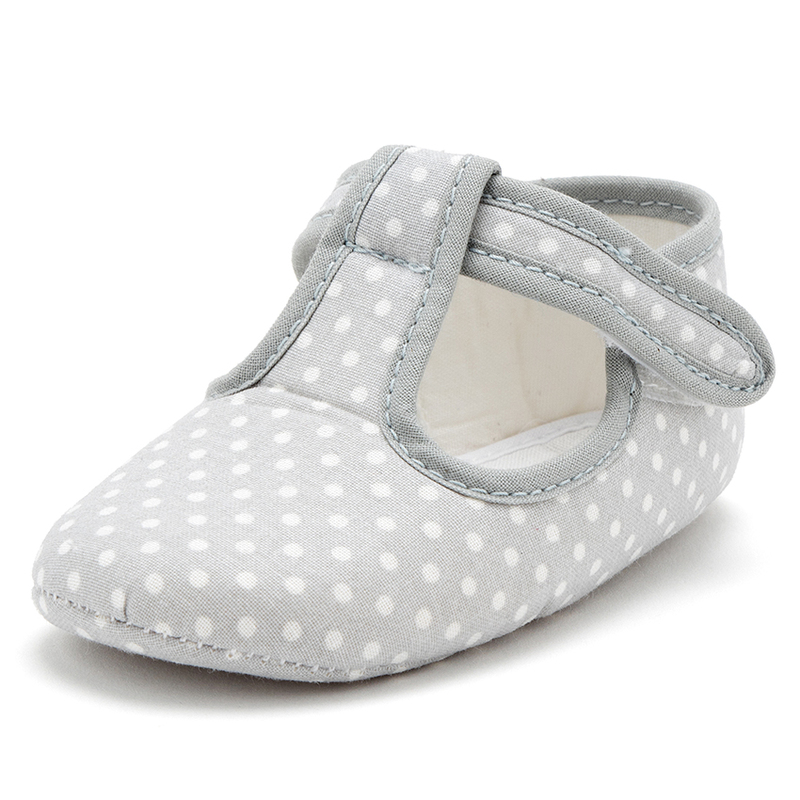 Available in sizes ranging from 0.5C to 3C and two lovely hues: light blue and grey. 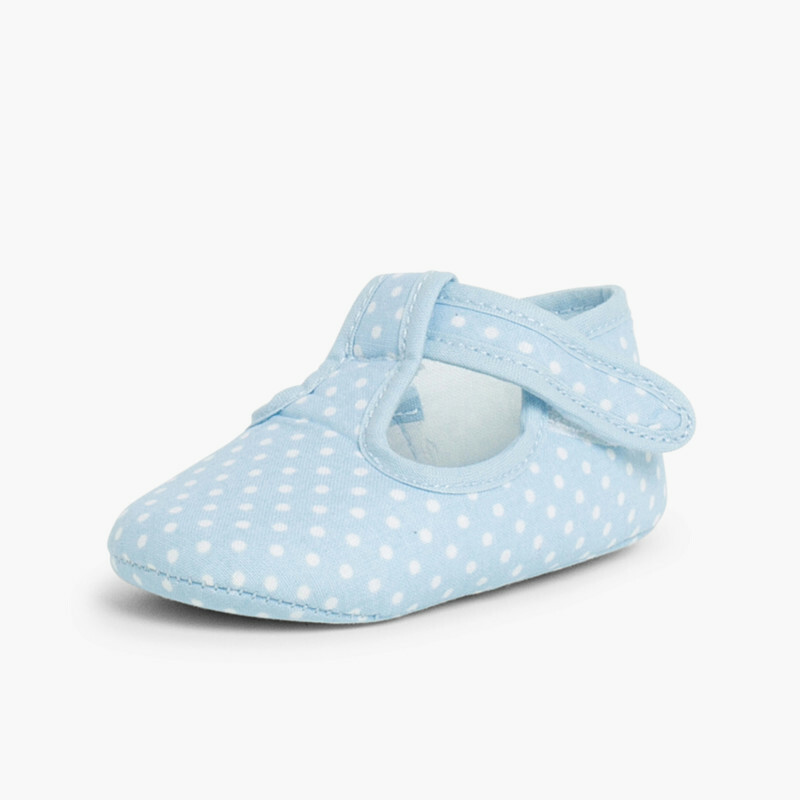 NOTE: The measures in the table are for this particular model, and the insole of the shoe, so you can compare with the measured foot of your child or the inner sole of other shoes you may have, not the sole out.